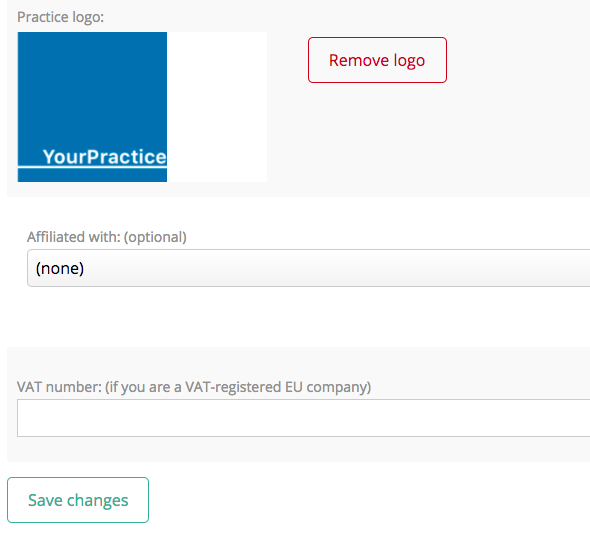 Upload your practice logo to Physitrack to replace the Physitrack logo in PhysiApp, the emails sent to your patients as well as on the print versions of programs and surveys. Go to the My account > My practice page. Scroll down to find the input where you can add your logo. From now, your logo will be shown in PhysiApp, to your patients in emails and on printable handouts.